Friends in NYC, next Thursday, Oct. 3rd, at 6:30 PM, at The New School, I’ll be hosting a reading and conversation with Andre Dubus III , author of HOUSE OF SAND AND FOG and the memoir TOWNIE. He’ll be launching his stunning new work of fiction DIRTY LOVE. Come hear him read and be the first to pick up DIRTY LOVE (it doesn’t go on sale until the following week). He’s an incredibly kind, insightful, and generous spirit; I can’t wait to talk with him and hear him read from his new work. An audience Q&A will follow. Hope to see everyone there. 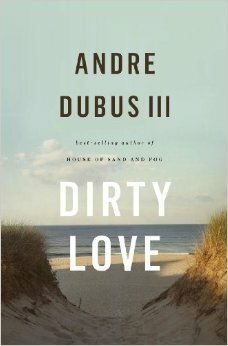 Andre Dubus III was awarded the New York Times “Editors’ Choice,” and also received the “2012 American Academy of Arts and Letters Award in Literature”. His work has been included in The Best American Essays of 1994, The Best Spiritual Writing of 1999, and The Best of Hope Magazine. He has been awarded a Guggenheim Fellowship, The National Magazine Award for fiction, The Pushcart Prize, and was a Finalist for the Rome Prize Fellowship from the Academy of Arts and Letters. His novel HOUSE OF SAND AND FOG was made into a movie, and was a fiction finalist for the National Book Award, the Los Angeles Times Book Prize, Book Sense Book of the Year, and was an Oprah Book Club Selection and New York Times bestseller. He has taught writing at Harvard University, Tufts University, Emerson College, and the University of Massachusetts at Lowell where he is a full-time faculty member.